Hey everyone! 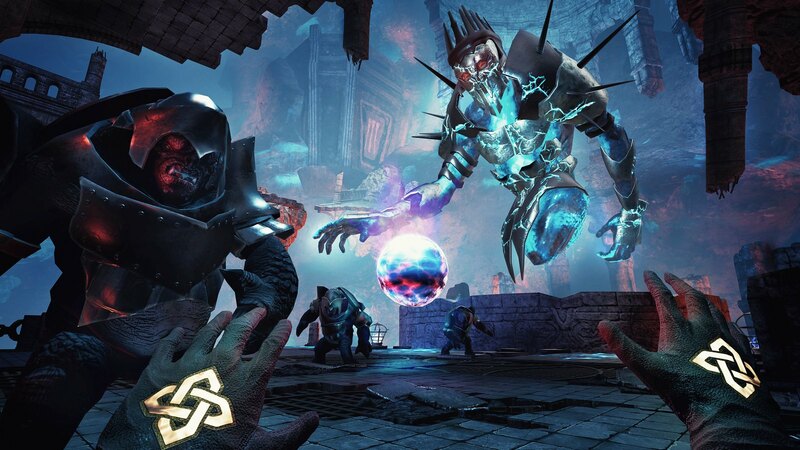 As the time draws near, we are excited to announce that The Wizards: Enhanced Edition is coming to PlayStation VR on March 12 for $24.99 with a limited-time launch discount. The Wizards is an acclaimed magical adventure in time travel and elemental battles. 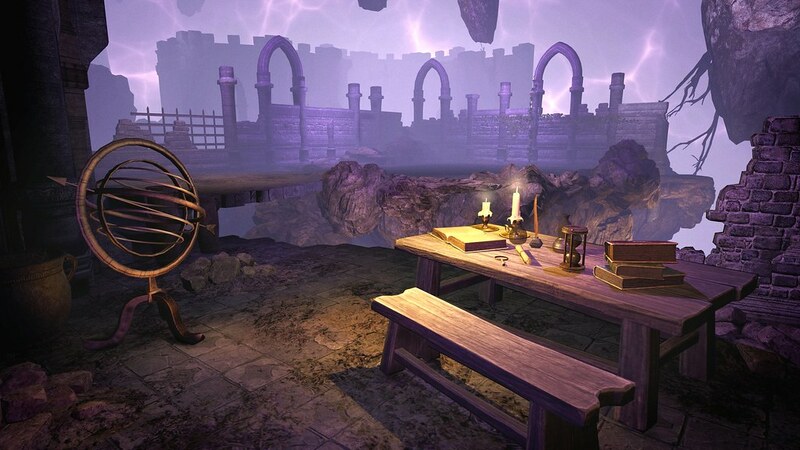 We invite you to take up your PlayStation Move controllers and master an array of potent spells, each conjured and cast with the unique gesture of your own hands. Guided by a once-mighty enchanter, you will be able to discover your own powers and unleash them on unwary enemies, gaining legendary fame. The game offers around six hours of award-winning story campaign, and if that isn’t enough (or is too much! ), you can try your hand in the Arena Mode that will challenge your endurance and skill in a series of endless battles. Moreover, you can find Fate Cards throughout the game: collectible game modifiers that can up the ante or tip the odds in your favor both in the campaign and arena modes, and affect your scores accordingly. 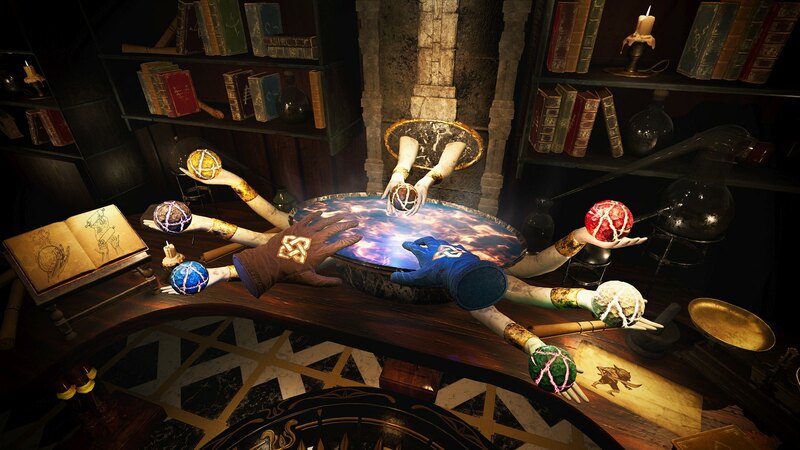 On PlayStation VR, we are proud to present the Enhanced Edition of The Wizards. It arrives at the end of a fruitful development period. This definitive version of the game packs more content and improvements than ever before: we’ve expanded the campaign, polished all mechanics, and optimized the experience for PlayStation VR and Move controllers. First and foremost, the story campaign receives a new level, complete with a never-before-seen map, battles, gameplay mechanics, and expanded lore. While introducing the most expansive level we’ve ever designed, we also decided that it’s high time we implemented checkpoints — getting in over your head no longer means retracing your every step before you take on the enemy with new vigor. As a bonus feature, we also chucked in character customization: the color of each of your gloves visible in the game can now be changed to suit everyone’s fancy! The new glove design also contains magical glyphs representing your health status. This allowed us to further increase immersion by discarding a more traditional widget floating between you and the fantasy world at your fingertips. All of this is coming to PS VR March 12. We are thrilled to invite you to don your sorcerer’s robe, grab PS Move controllers, and immerse yourself in the magical world of The Wizards!